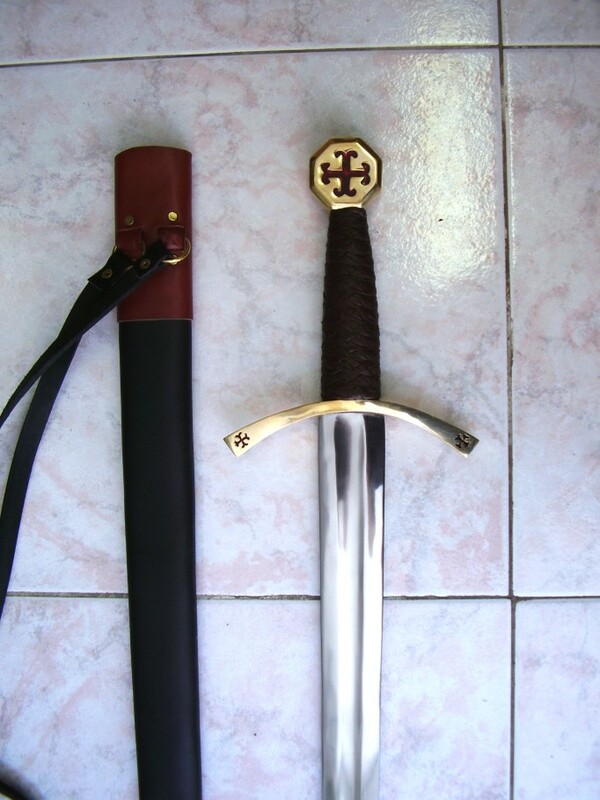 Templar Sword. Double-edged steel blade, in which sharp narrowing towards the tip which is very sharp, effective shots in the stalk. 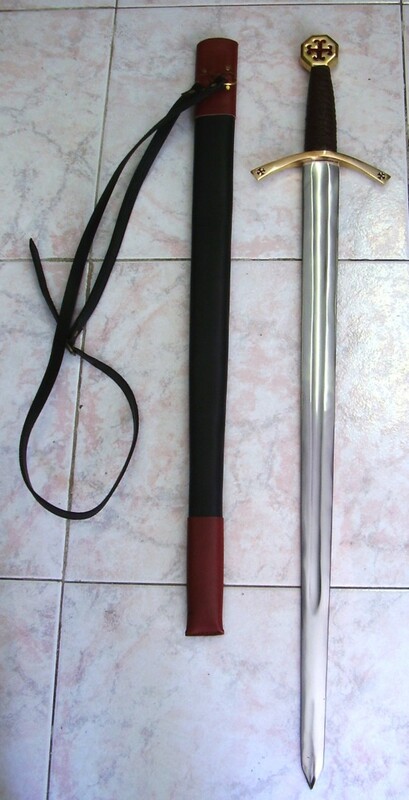 The hilt has brass-plated metal cross with arms bent at its ends anchored cropped on both sides, while the handle truncated cone is covered in leather brown. Finally, the knob, always brass-plated metal is octagonal in shape with a cross cut anchored on both sides. 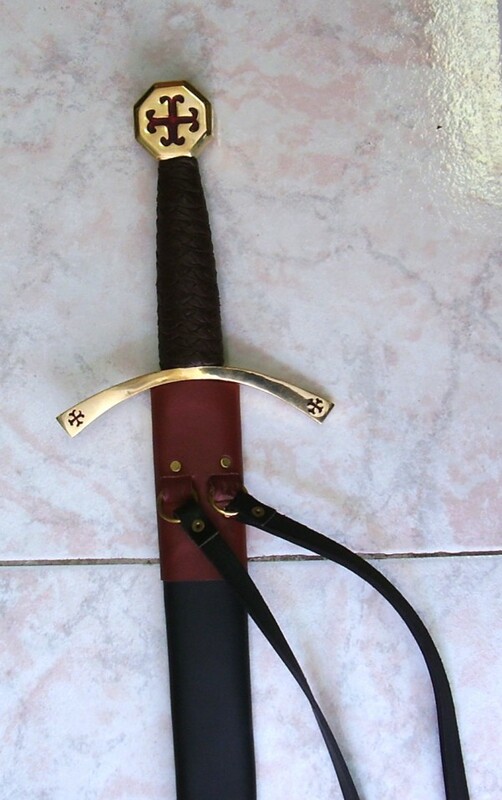 Claymore two-handed scottish sword XVth-XVIIth cen.